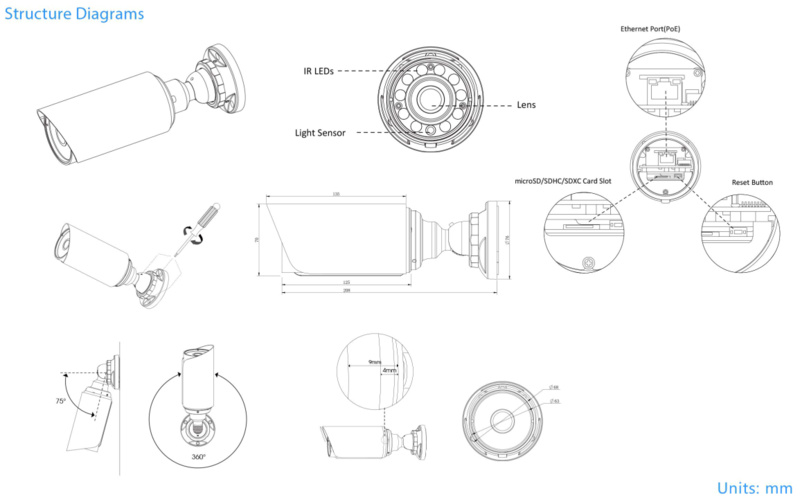 With a unique housing design the Milesight UI-2A63-PCV mini bullet camera effectively blocks the sun from entering the lens path due to the sunshield almost encompassing the camera, not only this but the housing also offers thermal insulation and is IP67 weatherproof protecting the camera against harsh outdoor weather. 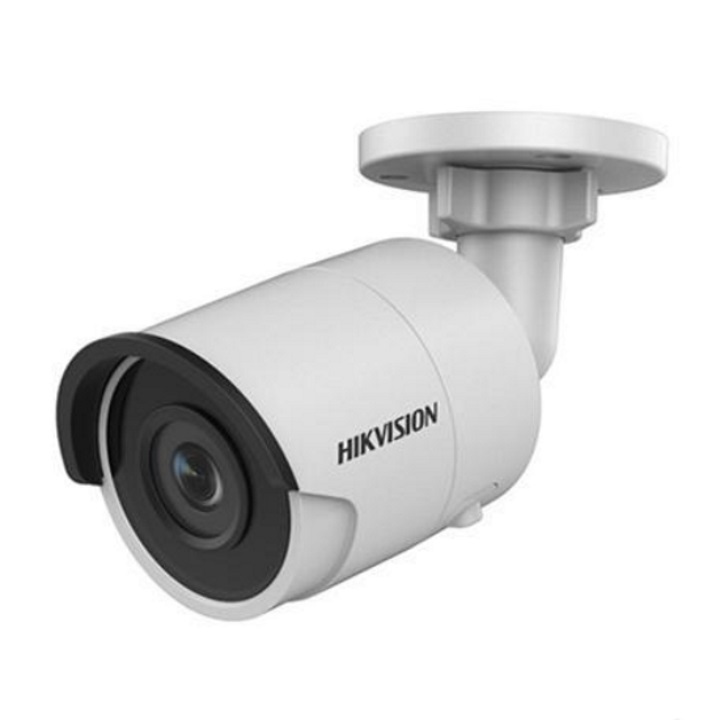 The camera's mounting bracket tightly conceals the cable to make sure it is well protected from dust, water and even shock damages as well as this the bracket has a 3-axis design to enable users to easily angle the camera to find the perfect spot for surveillance. This camera also features Milesight's starlight technology which enables the camera to provide incredibly detailed colour images even in very low light environments without any extra added lighting. 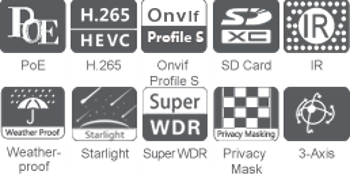 Other impressive features include; Super WDR (wide dynamic range) which is a sensor based technology used to balance out the colour representation in areas with extreme back light and high contrast conditions to produce true colour images and H.265+ video compression to reduce bandwidth by 70-80% compared to H.264.